Carnegie Mellon University Press, 9780887486227, 72pp. 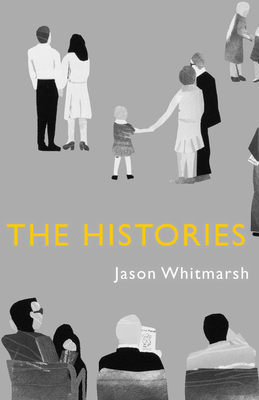 Jason Whitmarsh’s The Histories is an extravagantly funny and deeply affecting work of the imagination. With an obsessive precision, Whitmarsh catalogs our misunderstandings, our absurdities, our joys, and, above all, our sorrows. This is a world of stunning invention and lyric beauty: horsemen without horses, miniature Manhattan Projects, meditating kings and arguing gods, Wallace Stevens love songs and Kafka singing the blues. Though fragmented and incomplete, these histories get much of our experience—our hopes, our heartbreak—exactly right. JASON WHITMARSH received a BA in mathematics from the University of Chicago and an MFA in poetry from the University of Washington. His poems have appeared in a number of journals, including Poetry Northwest, the Cincinnati Review, Subtropics, and Ploughshares. His first book, Tomorrow's Living Room, won the 2009 May Swenson prize. He lives in Seattle with his wife and children.